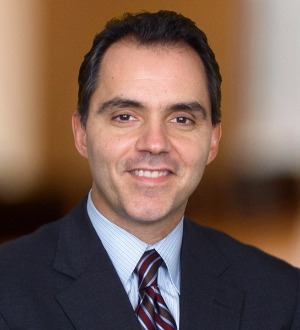 George Panagakis serves as one of the deputy practice leaders of Skadden’s Corporate Restructuring Group. He represents clients in complex business reorganizations, debt restructurings and insolvency matters. Mr. Panagakis advises companies experiencing financial difficulties as well as lenders, creditors, purchasers or other parties with an interest in such companies. Mr. Panagakis was selected for inclusion in Chambers Global (2013 and 2014) andIFLR1000 2014. He has been listed as one of the leading lawyers in the corporate restructuring and insolvency field in Chambers USA every year since 2004 and The Best Lawyers in America since 2007. In July 2009, Mr. Panagakis was named “Dealmaker of the Week” by The Am Law Daily and, in 2002, he was named byTurnarounds & Workouts as one of the top 10 restructuring attorneys under the age of 40. He also was part of the Skadden team that received the “Distressed M&A Deal of the Year (Over $100mm to $1 Billion)” for 2013 by The M&A Advisor for his representation of Synagro Technologies in its Chapter 11 restructuring, which included a $30 million debtor-in-possession facility and the $465 million sale of substantially all of its assets to EQT Infrastructure II, a private equity fund of EQT Partners AB. In 2010, he was part of the team that received the Global M&A Network Cross-Border of the Year Transaction Award for his work on behalf of Hartmarx, and, in 2007, he received the Large Transaction of the Year Award from the Chicago Chapter of the Turnaround Management Association for his representation of Enesco. Mr. Panagakis is a frequent speaker on restructuring topics and has served as a contributing author to Norton’s Annual Survey of Bankruptcy Law and the Illinois Institute for Continuing Education.